An easy game with minimum prep and supplies. Have the team get in a circle, facing inwards. Choose one person to stand in the middle. Have them close their eyes while you give someone in the circle a penny (or other small object). 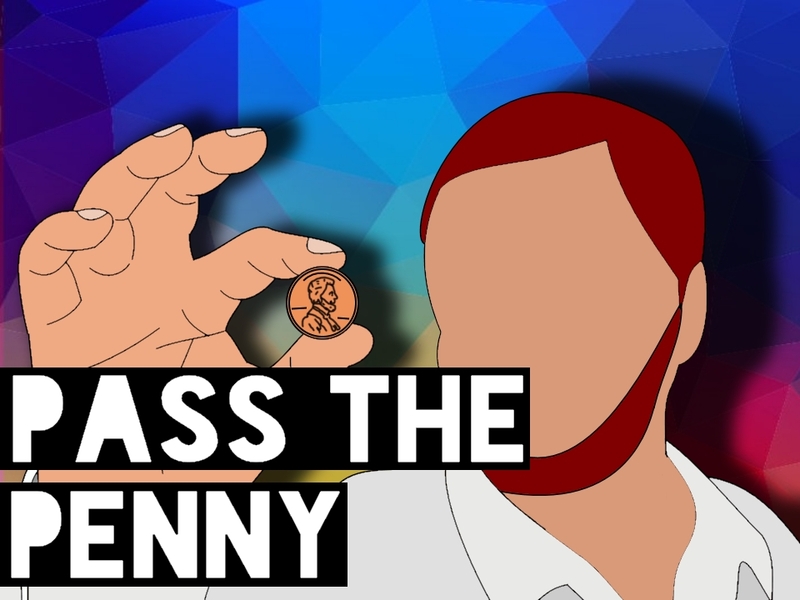 The object of the game is to pass the penny around the circle. Tell students they can't use their pockets.. Put a leader in the middle first so she/he can show the students how it's done. Play until the game peaks... don't play until students are tired of it. The person in the middle must identify who has the penny (while it's being passed around). The trick is - other members of the team can pretend to be passing something around as well in order to distract or "fake out" the person in the middle. If the group passes the penny all the way around the circle without getting caught - they win and someone new is chosen to be in the center. If someone gets caught, the circle loses and the person in the middle wins. The person caught with the penny then goes into the center. To keep the person in the center from just naming every name of every person in the circle, you might want to give them a limited number of guesses based on how many people are playing.